You can see our place from here! Snyder’s Shoreline Inn is as close as you can get to the Lake Michigan shoreline without getting your feet wet! 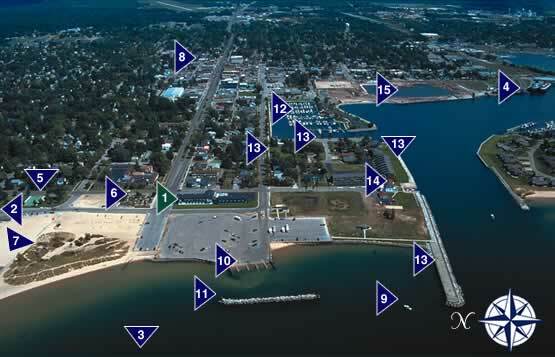 Use the aerial photo below to pinpoint our location west of downtown Ludington, Michigan. We’re just a short walk or a pleasant drive from everywhere.